Cape Town unveiled the first phase of the MyCiTi bus service on its Integrated Rapid Transit System. Volkswagen announced it will be entering the car sharing market in the fall, with a new program in Hanover, Germany. Lagos, Nigeria received an additional 100 buses for its bus rapid transit (BRT) scheme to accommodate for expanding routes in the ever-bustling city. Germany’s state-owned rail company Deutsche Bahn and Siemens AG joined in an order for 300 high-speed trains as a part of a EUR 6 billion (US$ 8.5 billion) Deutsche Bahn project to be completed by 2030. The U.S. Department of Transportation announced $2 billion in much-anticipated funding for nationwide high-speed rail, including $795 million to upgrade the Northeast Corridor and $404 million to expand service in the Midwest. This week marked the official launch of the Decade of Action for Road Safety, a global effort to reduce death and disability from road traffic crashes, whose participants include EMBARQ (the producer of this blog). Michigan’s Office of Highway Safety Planning released 2010’s traffic crash numbers, which found a 6 percent increase in fatalities involving pedestrians and a 55 percent increase in bicycle-related deaths. Indiana became the 32nd state in the union to make it illegal to text while driving. The law is in effect as of July 1, and fines may total upwards of $500. May is National Youth Traffic Safety Month in the United States and for good reason: The number of teen traffic crash fatalities during the summer months of May, June, July and August is nearly double that of the rest of the year. Pay-per-drive vehicle insurance holds potential benefits for drivers, the environment and traffic conditions, indicates a new study by Todd Litman of the Victoria Transport Policy Institute. The global green building market is expected to grow from $7.2 trillion to $12 trillion in the next few decades, declared Niclas Svenningsen of the Sustainable Buildings and Climate Initiative. Spain’s government is supporting energy savings and sustainable mobility through a new subsidy program incentivizing the spread of electric vehicles within the country. Transit buses are expected to continue going green, as Pike Research calculated that 50 percent of the 64,000 total transit buses expected to be delivered worldwide in 2015 will be alternative fuel. Chinese ministries signed an agreement to jointly promote the development of a combined rail-and-waterway transport network, citing reasons of increasing efficiency, saving energy and reducing carbon emissions. If three-quarters of California’s cars were electric by 2025, the number of pollution-related lung diseases and asthma attacks in the city would decrease by 70 percent, reports a new study by the American Lung Association. In honor of the newly launched Decade of Action for Road Safety, New York City Mayor Michael Bloomberg announced a multi-pronged program to reduce traffic-related deaths, including a new “slow zone” in the Bronx. 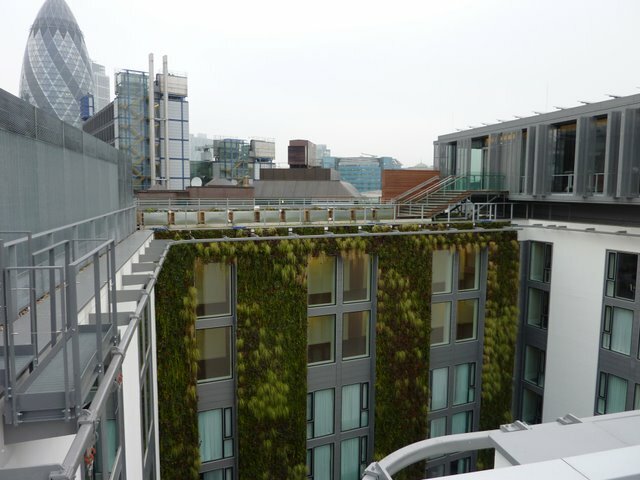 The tallest “living wall” in Europe, Frosts Vertiscapes, was recently completed in London. Comprising one wall of the Mint Hotel, the vertical garden elegantly integrates both ecological and structural form and function into the public space. The Chicago Transit Authority announced it will be enhancing its bus system with 160 LED display signs at high-volume bus shelters throughout the city. An energy-efficient dual-fuel Volksbus prototype, running on compressed natural gas (CNG) and diesel, was launched in Rio de Janerio by Brazil’s Secretary of State for Transport and Economic Development, Energy, Industry and Services. Toyota launched its new Prius model in Japan, the Prius a, which boasts both five- and seven-seat models. Toyota also announced there will be an unavoidable delay in delivering the new Prius models because of production slow-downs resulting from the Great East Japan Earthquake.